**6 Speed Manual* *32 MPG* *Android Auto & Apple CarPlay* *Backup Camera* *Power Equipment** FREE CAR WASHES FOR LIFE AND 1 FREE OIL CHANGE WITH ANY PURCHASE! All of our vehicles are marked with our Spitzer Value Price meaning that we have already done the research for you and have provided our absolute best price upfront on every vehicle! We are only 1 hour from Cleveland and Columbus and offer free airport pickup!!! We also offer secure online credit applications or call to do one over the phone. **4x4* *Heated Seats & Steering Wheel* *Remote Start* *Android Auto & Apple CarPlay* *29 MPG* *Backup Camera** FREE CAR WASHES FOR LIFE AND 1 FREE OIL CHANGE WITH ANY PURCHASE! All of our vehicles are marked with our Spitzer Value Price meaning that we have already done the research for you and have provided our absolute best price upfront on every vehicle! We are only 1 hour from Cleveland and Columbus and offer free airport pickup!!! We also offer secure online credit applications or call to do one over the phone. **4x4* *Heated Seats & Steering Wheel* *Power Seat* *Remote Start* *Android Auto & Apple CarPlay* *29 MPG* *Backup Camera** FREE CAR WASHES FOR LIFE AND 1 FREE OIL CHANGE WITH ANY PURCHASE! All of our vehicles are marked with our Spitzer Value Price meaning that we have already done the research for you and have provided our absolute best price upfront on every vehicle! We are only 1 hour from Cleveland and Columbus and offer free airport pickup!!! We also offer secure online credit applications or call to do one over the phone. **31 MPG* *Android Auto & Apple CarPlay* *Backup Camera** FREE CAR WASHES FOR LIFE AND 1 FREE OIL CHANGE WITH ANY PURCHASE! All of our vehicles are marked with our Spitzer Value Price meaning that we have already done the research for you and have provided our absolute best price upfront on every vehicle! We are only 1 hour from Cleveland and Columbus and offer free airport pickup!!! We also offer secure online credit applications or call to do one over the phone. **4x4* *Altitude Package w/ 18" Black Wheels & Black Badging* *Heated Seats & Steering Wheel* *Power Seat* *Remote Start* *Android Auto & Apple CarPlay* *29 MPG* *Backup Camera** FREE CAR WASHES FOR LIFE AND 1 FREE OIL CHANGE WITH ANY PURCHASE! All of our vehicles are marked with our Spitzer Value Price meaning that we have already done the research for you and have provided our absolute best price upfront on every vehicle! We are only 1 hour from Cleveland and Columbus and offer free airport pickup!!! We also offer secure online credit applications or call to do one over the phone. Are you in the market for a brand new Chrysler, Dodge, Jeep, or Ram vehicle in Mansfield, Ohio? Come into Spitzer Motors of Mansfield today. We’re a premier Chrysler Dodge Jeep Ram dealer near Ashland, Wooster, and Marion thanks to our exclusive specials on top models and knowledgeable sales team that can get you behind the wheel at a fair price. We offer great prices on a wide range of top models, so whether you’re looking for a durable work truck like the RAM 1500, a muscle car like the Dodge Challenger, or an all-new Jeep Wrangler, our expert sales team will help you find the best deal. Browse our available inventory, or check out our new vehicle specials and monthly lease offers for excellent deals on new Chrysler, Dodge, Jeep, and Ram vehicles, and let us know when you’re ready for a test drive. 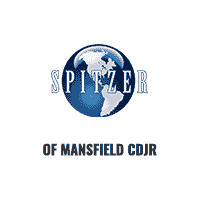 At Spitzer, “Our World Revolves Around You,” and it has since 1904. So come see why we’re the preferred Chrysler Dodge Jeep Ram dealer for Ashland, Wooster, and Marion, OH. Buying a new Chrysler, Dodge, Jeep, or Ram vehicle in Mansfield just got easier with competitive auto financing deals from Spitzer Motors Mansfield. Our financial services team can meet with you to chat about your options, whether you’re looking to buy or lease. Or, use our online tools to calculate your payments or to get pre-qualified for a new car loan on your Ram 1500 truck or Chrysler Pacifica van. We look forward to serving you soon! Keep your new Dodge Journey or Jeep Grand Cherokee running as smoothly as possible when you bring it into the full-service Mansfield auto repair shop at Spitzer Motors Mansfield. Our Chrysler, Dodge, Jeep, and Ram certified mechanics can perform everything from oil changes and engine diagnostics to emergency repairs. If you have any questions give us a call or schedule service today. And don’t forget to check out about our current service and parts specials to save time and money at the dealership.